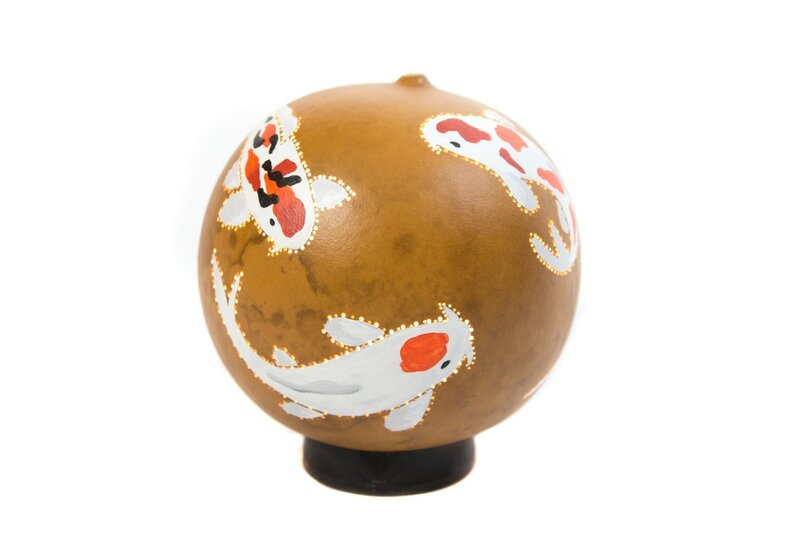 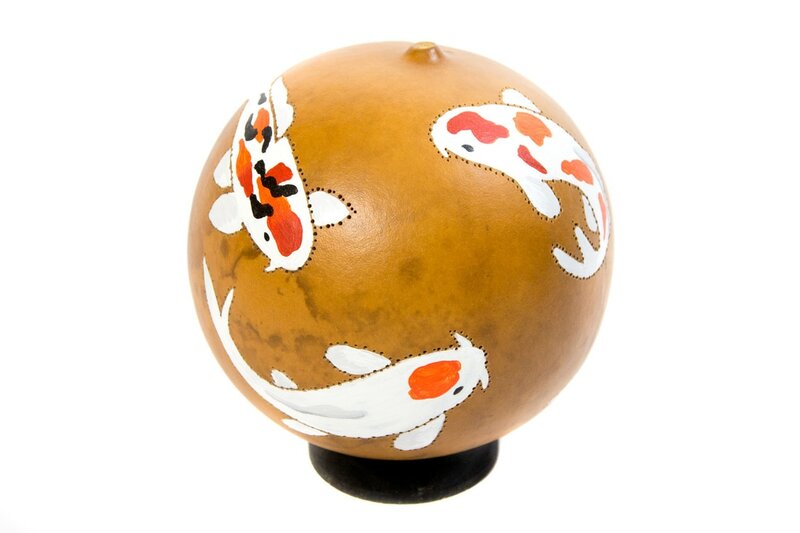 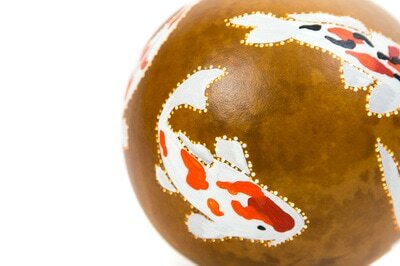 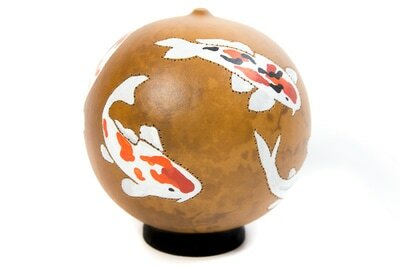 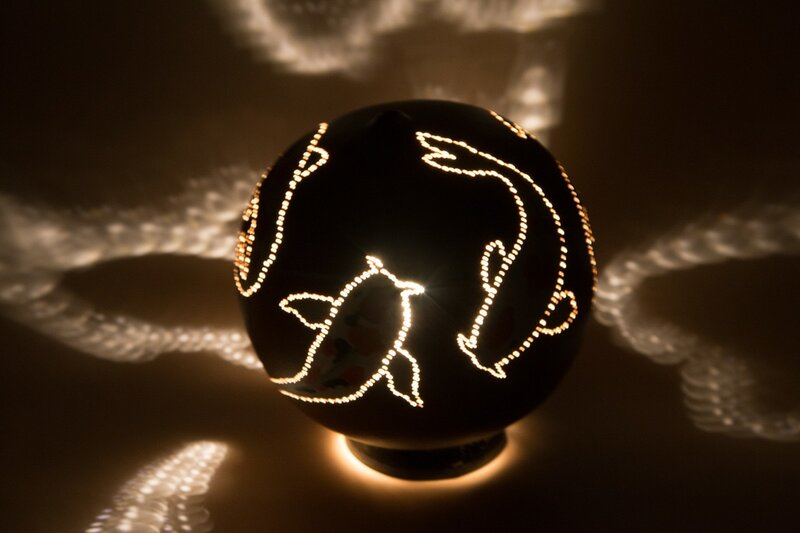 These bright Koi fish look like they could swim right off the gourd! 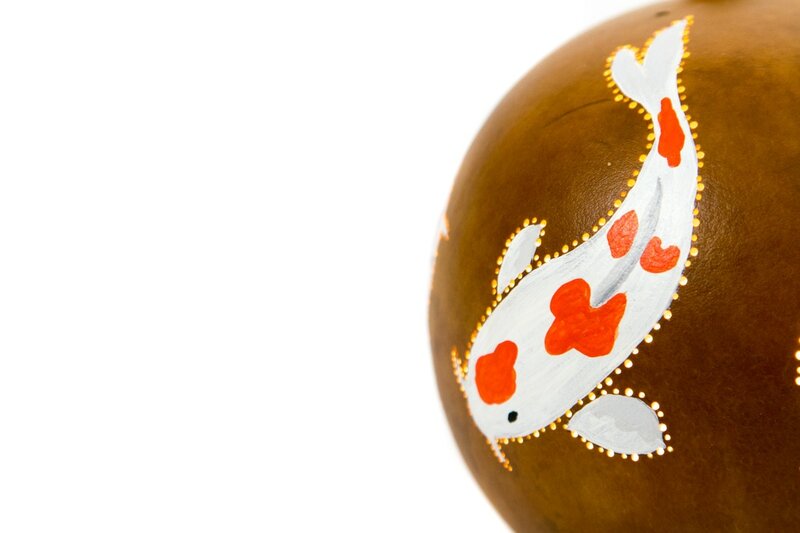 This gourd is so beautiful in it's natural coloring that I didn't even dye it. It just needed sealer.